After receiving Nuxe Huile Prodigieuse in my GlossyBox, I tried it one my face and hated it and on my body and did not feel that it made much of a difference. I then tried it on my hair and I fell in love! There's been so much hype over hair oils, you can't really ignore it. The firm favourite amongst bloggers has to be the Moroccan Oil Argon Oil, so when I got the chance to try this one from Nuxe I was looking forward to seeing the benefits of hair oils for myself. 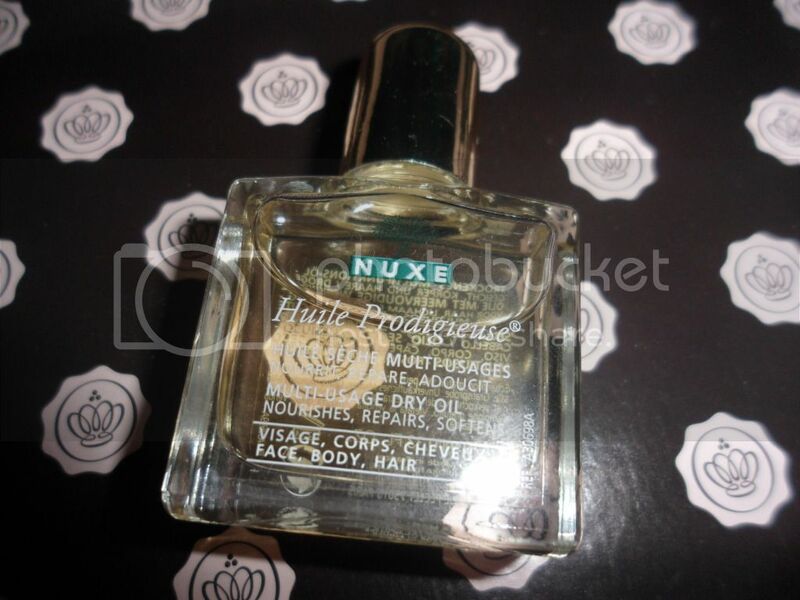 The multi-useage dry oil is described as Nuxe's "hero" product. It contains sweet almond, macadamia and hazelnut oils alongside vitamin E to nourish, repair and soften. This is currently priced at £22.64 for 100ml which means it works out cheaper than the Moroccan Oil offering which is £30.45 for the same amount of product. I used this through the ends of my wet hair. Being not-so-naturally-blonde, the ends of my hair get really dry and brittle and I'm prone to split ends. Once I'd blow dried my hair I instantly noticed the difference. Frizz was reduced and the overall look and feel of my hair was smoother and sleeker, I also felt like the blow dry lasted longer too. Nuxe suggest to mix the product with foundation, ruffle through your hair and pour into a bath. A truly multi-use product and the fact that it is cheaper than Moroccan Oil means you get a whole lot more use for a smaller dent in the bank account. If you don't like using it in one sense I'm sure you'll find a way in which you do. What do you think of oils in your beauty regime?